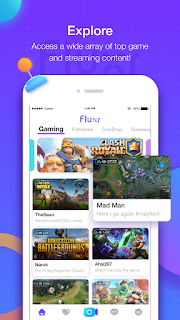 Fluxr, a new mobile gaming and eSports live streaming mobile platform for gamers launched by LiveMe, North America's top ranked social networking app. Dedicated to enhancing the gamer experience in Southeast Asia especially in the Philippines, with innovative user-interactive features, Fluxr aims to deliver high quality live streams, rich gaming content, and an interactive and immersive gaming community. 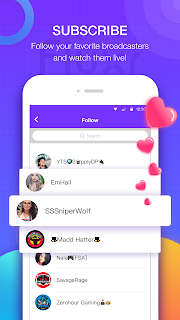 On the platform, users can watch live streaming of popular games, such as PUBG MOBILE, Fortnite, Rules of Survival, Arena of Valor, League of Legends, Minecraft, CSGO, GTA5, DOTA2, Call of Duty, Clash Royale and many more. "Southeast Asia poses untapped and limitless market potential in the mobile games and professional eSports market. And the support from the local governments towards this area has been beyond our expectations. The burgeoning market reminded me of a time when China's eSports was beginning to take off. We hope to become a linchpin towards the growth of the market by capitalizing LiveMe’s experiences and resources to bridge the gap between game publishers and viewers," said Yuki He, Chief Executive Officer of LiveMe Inc. 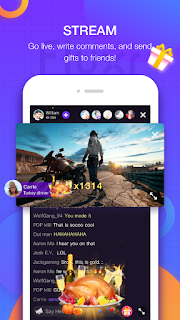 In line with the new launch, Fluxr has also announced its partnership with Tencent's PUBG MOBILE to kick start its broadcaster and eSports recruitment campaign at VidCon, the world's largest online video convention in North America. The popular annual gaming event featured top broadcasters from LiveMe Gaming and PUBG MOBILE cosplayers, attracting more than 30,000 people. Fluxr and Tencent's strategic partnership will provide a platform and service to connect gamers, streamers, and game publishers worldwide. Fluxr is available on both Apple App Store and Google Play. For further inquiries, you can send an email to fluxr@cmcm.com. To share your experience using this app, you can leave your comment below.